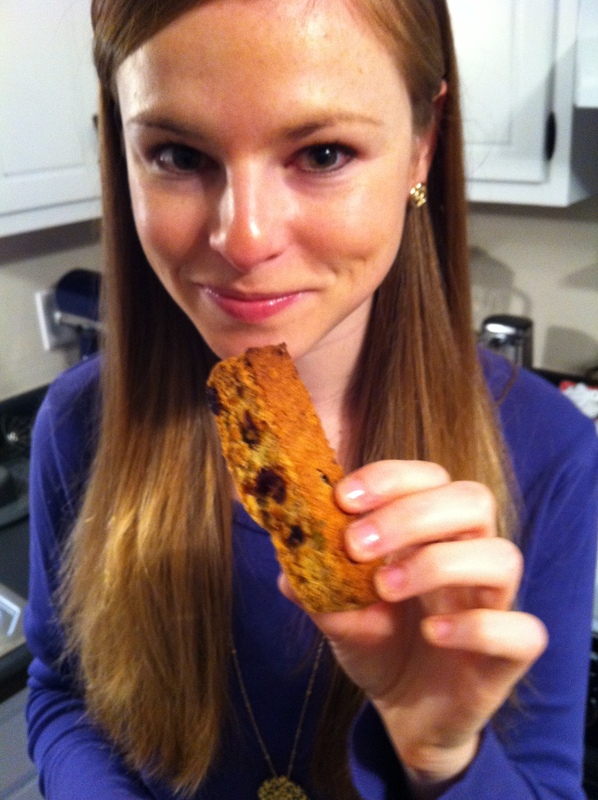 My first biscotti attempt was only semi-successful. I used an AllRecipes.com cinnamon sugar biscotti recipe and, though delicious, they weren’t nearly as crispy (a biscotti must, no?) as I’d hoped. So when I saw a Martha Stewart recipe that included cornmeal and promised to give extra density and crunch, I was intrigued. 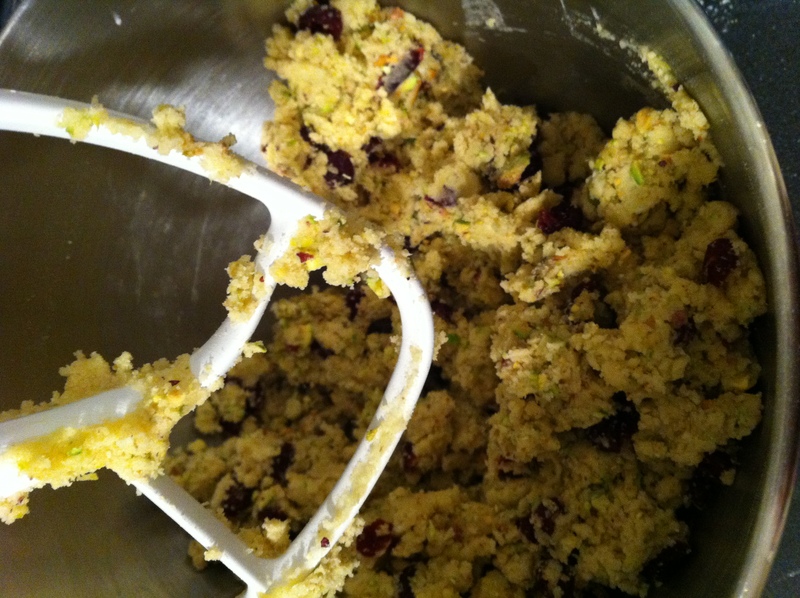 I gave the recipe a try before Christmas (the red and green cranberry and pistachio combo just screamed “festive”) and was MUCH happier with the results of this recipe. So much so, in fact, that last night I made another batch to take along to Lake Burton, where Kevin and I will be spending the Martin Luther King holiday weekend with both our families. 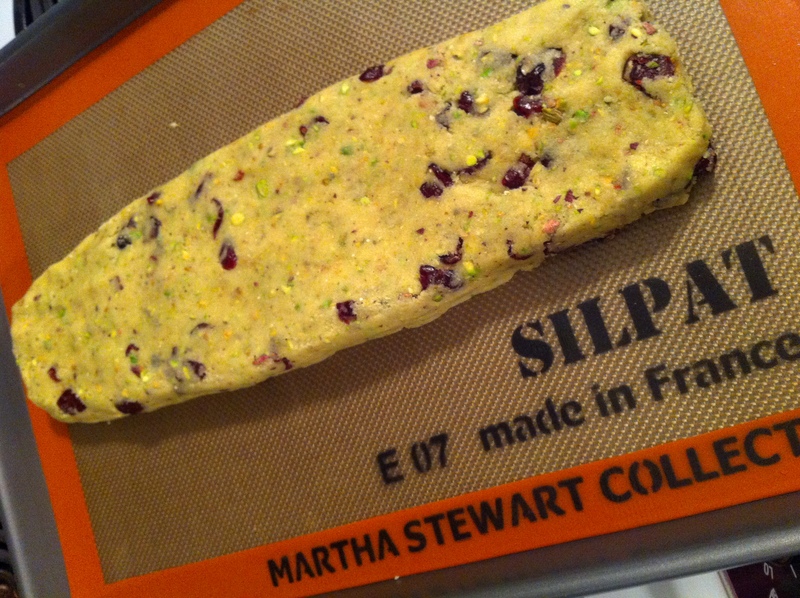 Transfer dough to a baking sheet lined with parchment paper (I used a Silpat and that worked great as well). Pat into a log that is roughly 14 by 3 1/2 inches. Bake until firm, lightly browned, and slightly cracked on top (30 to 35 minutes). Let cool on sheet on a wire rack, about 15 minutes. Transfer log to a cutting board. Using a serrated knife, cut on the diagonal into 1/2-inch-thick slices. 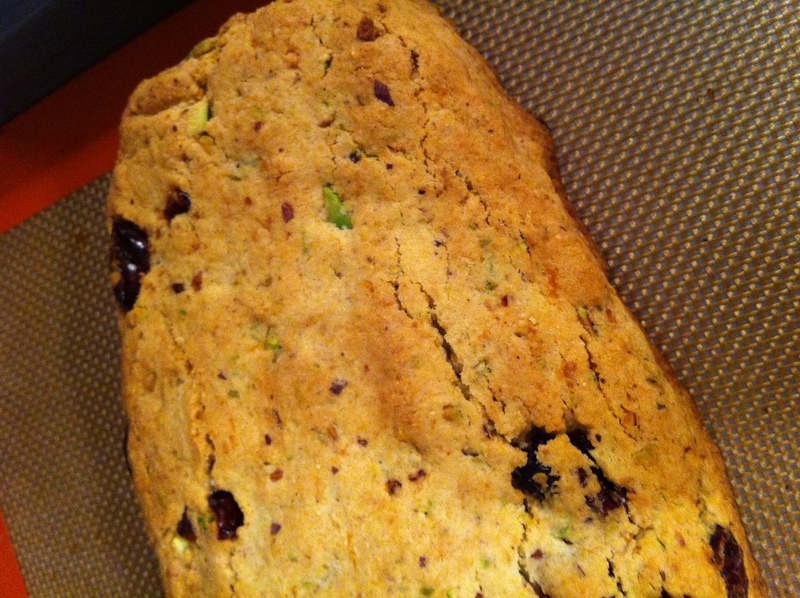 Arrange slices on a baking sheet lined with parchment. Bake cookies, rotating sheet halfway through, until they begin to brown at edges (15 to 18 minutes). Previous Previous post: They DO Exist! 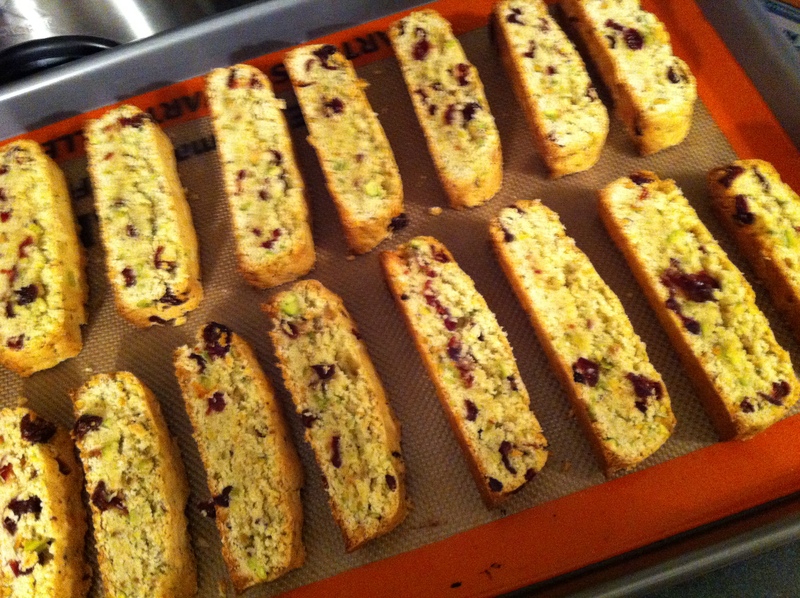 I have been thinking about baking biscotti for a while, and you’ve done half the work for me! Weeding through recipes is something all my roommates both enjoy and dread, depending. I’ve been trying to perfect a black bean burger. Many, many vegetables have been sacrificed in pursuit of that one. http://tendercrumb.blogspot.com/2010/08/zucchini-carrot-and-cranberry-muffins.html (exchange no-sugar-added applesauce for some or all of the oil for even more health).